The video, published to YouTube on Wednesday, is the work of Center for Medical Progress leader David Daleiden who, along with co-defendant Sandra Merritt, has been charged with 15 felony counts under California’s law protecting “confidential” conversations. Former Los Angeles County District Attorney Steve Cooley & Associates (SCA) are defending Daleiden, the journalist who released the series of videos in 2015 that shocked the nation as they brought attention to the fetal tissue procurement industry. 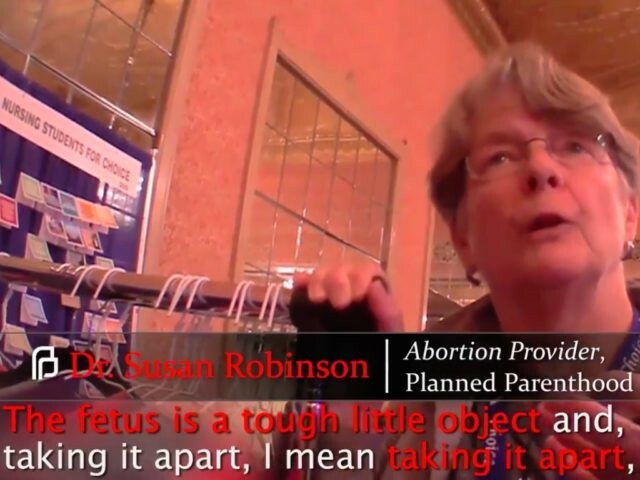 The undercover investigation led to congressional probes into allegations that Planned Parenthood sells the body parts of babies aborted in its clinics for a profit, and to vehement cries for the elimination of Planned Parenthood’s taxpayer funding. Cooley and former Los Angeles County Deputy District Attorney Brentford J. Ferreira are launching a new media resource page that features all the filings in the case against Daleiden and all the videos mentioned by the California AG in their complaint, including those that have never been seen before. In April of 2016, Daleiden contacted SCA immediately after agents of the AG’s office served a search warrant at his home and confiscated his computers, hard drives, and electronic documents. In September 2016, emails obtained by the Washington Times showed that then-California AG and U.S. Senate candidate Kamala Harris’s office collaborated with Planned Parenthood to produce legislation that specifically targeted Daleiden. The emails, according to the Times, were accessed through a public records request, and revealed conversations between officials of Kamala’s office and Planned Parenthood regarding legislation that criminalizes undercover journalists for publishing and distributing recordings of private communications with abortion providers. Following receipt of a preliminary injunction in a civil suit – currently on appeal – against the release of Daleiden’s videos from secretive abortion trade shows, the National Abortion Federation (NAF) and Planned Parenthood pursued the California AG to initiate a criminal investigation in order to stifle Daleiden’s undercover work even further. On March 28, 2017, the new California Attorney General, Xavier Becerra, announced a criminal complaint charging Daleiden and Merritt with 15 felony counts against the state’s “confidentiality” legislation. SCA points out that Daleiden’s accusers were listed in the complaint anonymously as Does 1 through 14. The attorneys’ request for the names of the Does was ignored, and the Attorney General later informed them their names were confidential. “There is no protective order in place in state court that would protect the names of the Does, and David is entitled to a public defense,” SCA states. A list of the Does can be found here.